The theme for the 99th Edition of the Carnival of Genealogy is Religious Rites. My ancestry is mostly Polish and a quarter Bavarian. Since Poland is about 99% Roman Catholic and Bavaria is the Catholic region of Germany, it is no surprise that my family is Catholic. I come from a long line of Catholic ancestors with the exception of one great-grandmother who was Protestant. For my Catholic ancestors in Poland and Bavaria, religion played a major role in everyday social and cultural life of the towns and villages. 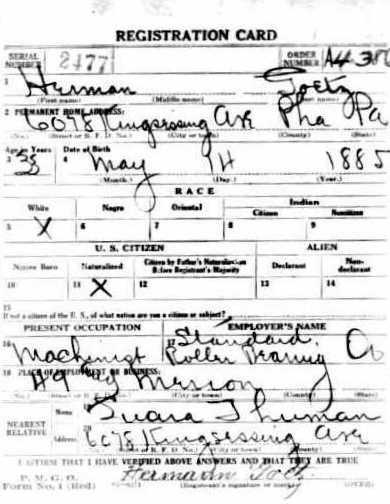 All of the vital records I’ve found for these ancestors come directly from church records of baptisms, marriages, and burials. It is easy to see that my ancestors’ lives were intertwined with the church’s rites – many of my ancestors were baptized, married, and laid to rest in the same parish. It is impossible to know if my ancestors had a strong faith or if the church merely represented a cultural presence in their lives. Regardless of the answer, I am Catholic today by choice, but also in part due to the faith of all the fathers and mothers in my family history. 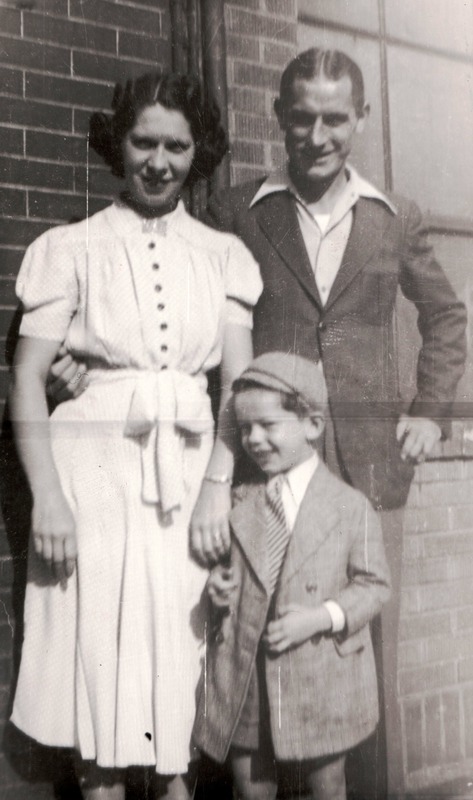 Top Row: My Grandmother and her two children - my father and aunt. Bottom Row: My brother, me, and my niece. All photos were taken on the day we received First Holy Communion. Once my ancestors immigrated to the United States, they continued to practice their faith and their American-born children were baptized, made communion, confirmed, and married in the church. Whether or not my great-grandparents or grandparents had a strong faith, it was still passed down. Today, my parents, brother, and I all share a deep love for our Roman Catholic faith. For us, the celebrations of baptism, Holy Communion, confirmation, and marriage are not merely excuses for a worldly celebration, but they represent defining moments in our walks with God. Faith is a rather serious topic, and since my genealogy adventures are usually on the lighter side, I’ve decided to approach the topic a little differently. In honor of the seven sacraments2 celebrated by Catholics, I present a list of unique, odd, or curious facts about my family’s participation in religious rites! 1. My maternal grandfather, Henry Pater, did not know he was baptized at all much less in the Catholic Church. When he and his wife had their civil marriage blessed in the church, the record indicates that he received a dispensation, presumably for not being Catholic. However, I found the record of his baptism at Our Lady of Grace Church in Langhorne, PA. My mother theorizes that since his mother was the Protestant in the family and they were living with his father’s Catholic parents and grandmother, the Catholic half of the family must have had him baptized without his mother’s knowledge! 2. 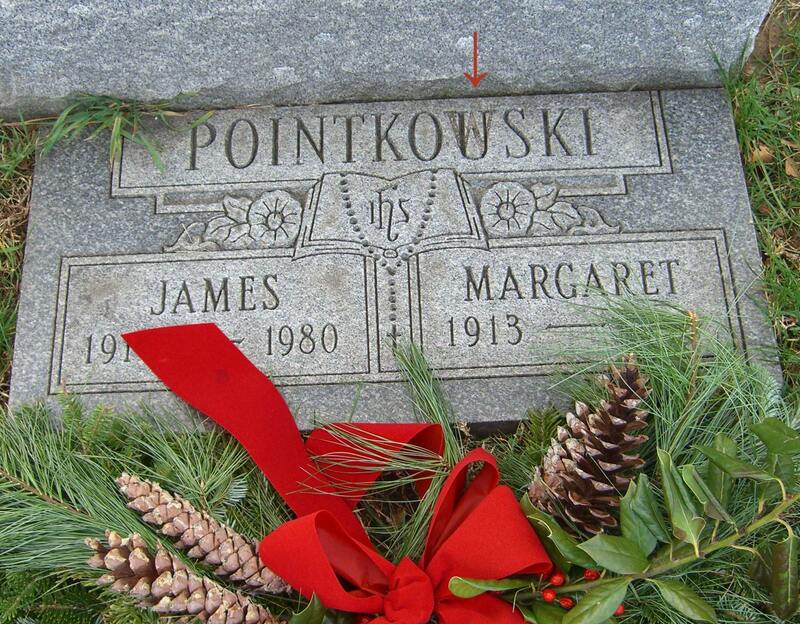 We do not know where my paternal grandfather, James Piontkowski (later known as Pointkouski), was baptized. I plan on searching the churches near the address the family lived in 1910 when he was born, but Philadelphia is a very large city with many Catholic churches. The irony of not knowing where he was baptized in the city is that I found his brother’s baptismal record at Św. Stanisława in Warsaw, Poland – another very large, very Catholic city. I thought that would be impossible to locate the correct church, but it was an easy find. Surprisingly, I found out that Philadelphia has more churches than Warsaw! According to the 1912 Catholic Enclyclopedia3, Warsaw had 414,620 Catholics and only 40 churches and chapels. In comparison, the 1911 entry for Philadelphia4 indicated that there were 525,000 Catholics in the city in 1910 with 434 churches! 3. My mother and aunt have the unique designation of being the oldest baptismal candidates in my family tree. Their father was the agnostic son of the Catholic-Protestant marriage, and their mother was the lukewarm daughter of Catholics. For whatever the reason, my aunt, who was born in 1932, and my mother, who was born in 1935, were both baptized together at Nativity B.V.M. 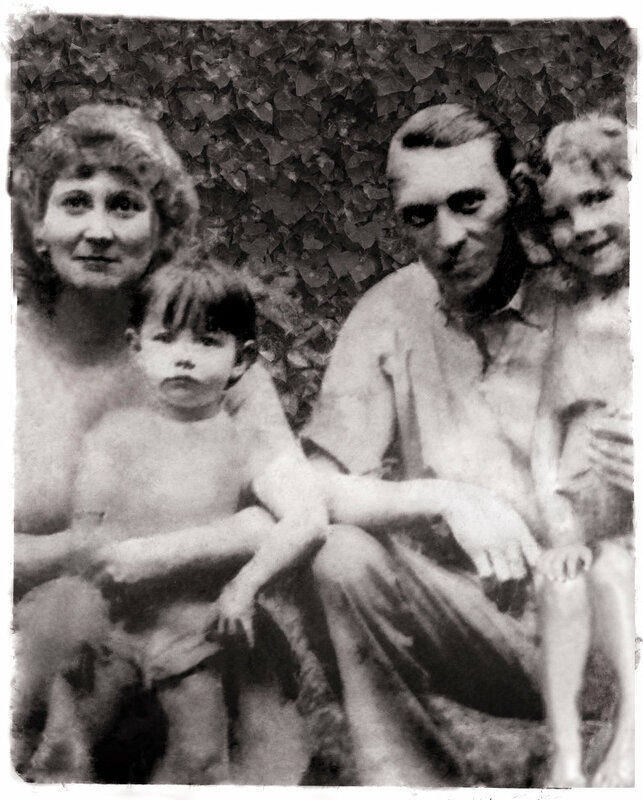 – around 1938-39, likely at the insistence of their maternal grandfather. My mother was old enough to remember walking into the church, and she remembers her horror when the baptismal waters wet her fancy new dress. My aunt just remembers being embarrassed that she was so old and getting baptized like a baby. 4. In Philadelphia, or upon meeting a fellow Philadelphian, it is common to ask, “What parish are you from?” rather than “What neighborhood are you from?” The Catholic identity was so strong, and the parish boundary rules were so strict, that parishes and neighborhoods were one and the same. I received the sacraments of Baptism, Reconciliation, Holy Communion, and Confirmation in the same parish (Our Lady of Calvary). While my parents and grandmothers also received the sacraments in the same parishes (St. Peter’s, Nativity B.V.M., and St. Adalbert’s), my brother and grandfathers did not. 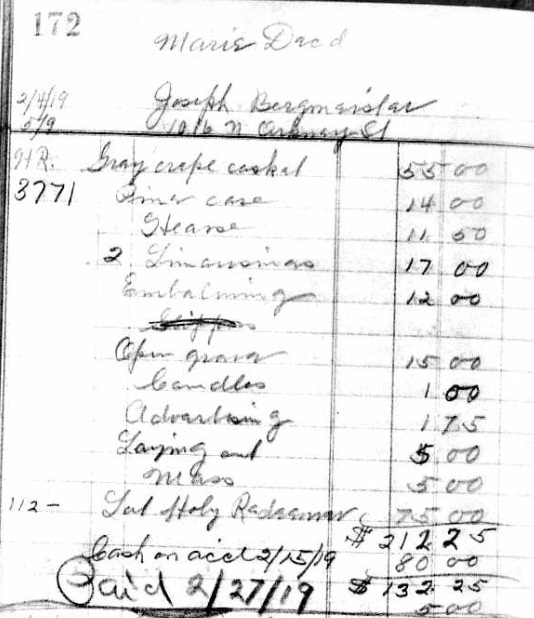 My maternal grandmother can add to her list one more sacrament received at the same parish – Marriage. 5. I never thought to ask my parents about their Confirmation names until writing this post. In the Catholic tradition in the U.S., the candidate often adopts the name of a saint that they admire. In my family, the confirmation names of my father, mother, brother, and me are John, Patricia, Richard, and Jamie. 6. If it was not for the baptismal record of a collateral relative, I never would have found the birthplace of my Bavarian great-grandparents. All other records including passenger lists and death records did not list the town from which the Bergmeister’s came. It was only in looking for their children’s baptismal records that the town was identified; their oldest son’s record listed the town name! This information may not always be included, but the fact that they attended a German-speaking Catholic church helped (St. Peter’s). 7. According to Canon Law, a person’s baptismal register should also include annotations for their confirmation and marriage or holy orders. I’m not sure when this rule was instituted – I’ve occasionally seen it in my ancestors’ records, but not always. But I have a rather curious honor – I entered my confirmation date into my own baptismal record! In 1981 my friend and I were helping out at school, and one of the tasks that Sister needed help with was the recording of confirmation data in the parish registers, including our class’s confirmation from 1979. Since I was baptized in the same parish (my friend was not), I got to annotate my own baptismal record. I don’t think too many folks can say they’ve done that one. 1Faith of Our Fathers is a hymn with words by Frederick W. Faber, 1849 and the refrain (cited above) by James G. Walton, 1874. 2Get out your catechism, class! If you forgot what all seven are (or if you are not Catholic), they are: Baptism, Reconciliation, Holy Communion, Confirmation, Marriage, Holy Orders, and Anointing of the Sick. 5Tantum Ergo is a hymn by St. Thomas Aquinas written in 1264. Earlier this month I visited Greenmount Cemetery in Philadelphia. 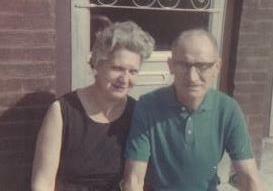 I was hoping to find a tombstone for a couple that is connected, though likely not related, to my family – Carl and Sophia Mach. I have been researching this couple for an upcoming post, so I thought a visit to their grave would be appropriate to “end” the story, so to speak. While there, I wanted to re-visit the grave shared by my great-grandfather, Louis Pater, and his father, Joseph Pater, even though their grave is not marked with a stone. Greenmount Cemetery is located at 4301 N. Front Street in Philadelphia (phone 215-329-4747). I hoped to find out more about the history of the cemetery, but so far I have not been able to discover much information. I was surprised by the sheer size of the cemetery – approximately 75 acres. There are thousands of graves, and it is still being used today as a “active” burial ground. The cemetery was opened around 1875. Much like the neighborhood it resides in, the ethnicity of the cemetery “residents” has changed over the years. Some of the oldest graves from the early 1900’s have German names as well as Irish and Polish. The newer graves have many other nationalities including those with ancestry from various Asian and Latin American countries. I was pleasantly surprised that the office was not only open and staffed, but eager to assist me. A gentleman looked up my family names in a card catalog and checked to see if there were others with the surname besides those I mentioned. This was fortunate, because I had forgotten that in addition to my great and 2nd great-grandfather, my great-grandmother was also buried here with her son. If the staff member had not asked me if she was a relative, I would have missed the opportunity to visit her grave, which held an even bigger surprise – a tombstone! This was surprising for two reasons – first, not many of my relatives have tombstones, which is why I don’t show any photographs of them on this site. But I was more surprised because I thought I remembered visiting this cemetery before in the early 1990s, shortly after beginning my genealogical research. And if I am correct in that memory, I distinctly remember that there was no tombstone – which means I either just thought I visited this particular cemetery or I somehow didn’t find the right grave when I did! Another reason that the card information was helpful is that, in the case of Mr. and Mrs. Mach, their grave contained two other individuals that did not have tombstones. I was able to surmise the relationship of these individuals to the Mach’s because of my earlier research. Besides looking up the family information, I was provided with detailed maps of the sections that held the requested graves and directions on how to find the sites. Not all cemetery offices are this friendly to researchers, so this was a delight – especially since I was short on time for the visit. The cemetery is so large that graves would be next to impossible to find without a map. The cemetery is also listed on Find a Grave with more photos and information about some graves of famous professional baseball players who are buried there. Greenmount Cemetery is so large, you forget you are in the middle of a busy section of Philadelphia. If you have roots in Philadelphia (or southern New Jersey…more on that later), or if you are simply interested in maps or history, there is a very interesting site called the Greater Philadelphia GeoHistory Network. There are many useful resources here. 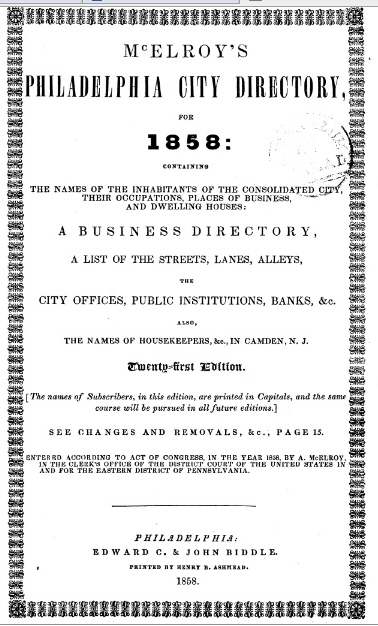 On the Resource Browser page, you’ll find all sorts of interesting things including browse-able city directories from 1856, 1858, 1861, and 1866 as well as various maps and aerial photos. But to really see the maps in their full glory, and see the usefulness of modern technology at its finest, visit the Interactive Maps Viewer. There you can view the city’s current street maps on top of historical maps from various years including 1942, 1903, and even 1855. 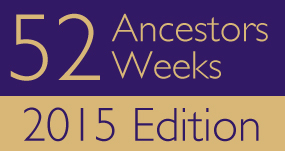 Besides being a lot of fun, these overlays are extremely useful for genealogical research. For example, you’ve found an address from a census record, draft card, or city directory, but the street does not show up on Google Maps because it is no longer in existence or no longer called by the same name. Although you can’t search for it by name, you can easily scan the current neighborhood and see the old names underneath. As a “big” example of such a name change, I used the map to go to where John F. Kennedy Blvd is today. This is the sprawling boulevard that leads up to the city’s Art Museum. By unchecking the overlay for the current street map, I could clearly see the street’s previous name: Pennsylvania Boulevard. The 1942 maps have many businesses, and especially factories, that have long since closed up shop. By looking at your ancestor’s neighborhood, you can see many of the businesses that were in existence back then. Or, you can see your ancestor’s place of employment on the map if you find the address via draft registration cards or social security applications. In the screen shot below you can see an example of some of the business names. For me, it was interesting to see some streets from the city’s history that are now gone due to things like the construction of I-95. Even more fun is to view the “newer” neighborhoods, such as Northeast Philadelphia where I grew up, and see few streets on the old maps. Instead, most of the area is farms, and some wealthier individuals that owned a lot of land are noted by name on the map. For those with New Jersey roots, there is a 1930 aerial map. Many current neighborhoods did not exist back then! 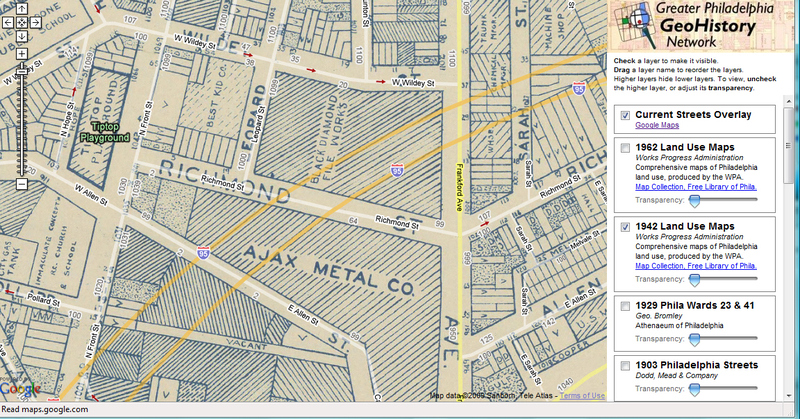 If you are having trouble locating a Philadelphia street on a current map of the city, a wonderful site is the Historic Street Name Index at PhillyHistory.org. The image below is a partial screen shot to provide an example. In this case, it clearly shows the name change of three different streets to Alaska, then Alaska St. also changes to Kater. It also tells you what year the name change occurred and if the street is still in existence today. Any city goes through many changes throughout its history. Of course, some things remain the same. You can still find Independence Hall in the same place as it was in 1776! Once upon a time, growing up in Philadelphia, I enjoyed playing in the snow. Sledding, circa 1977. The hill became the parking garage for Frankford Hospital. Then, I grew up. As a grown-up, snow became rather unpleasant for two reasons. First, I had to shovel it. Since being cold and physical exertion don’t fall anywhere on my top 100 list of desirable things to do, you can only imagine how much I enjoy that activity. Second, I had to drive to work in it. To educate all of the snow-lovers out there that think I’m a wimp because of that statement, the street I lived on in Philadelphia never saw a snow plow until I was in my 30’s. Places north of us that routinely get twelve feet of snow have efficient procedures in place for its removal. My city did not. The main roads are plowed and salted, of course, but the “secondary” roads were not. My parents’ street must have been a “tertiary” street, because it was left behind even when the city got around to the secondary streets (I am happy to say this has since been corrected since the late 1990’s). 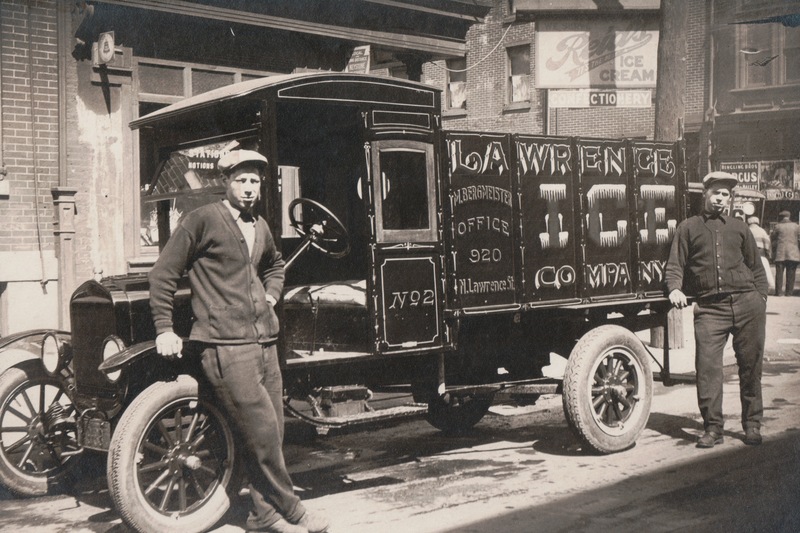 As a result, once a significant snowfall occurred, our street would become a sheet of ice. My past experience navigating a vehicle in these conditions would qualify me to drive a zamboni®. To drive to snowless roads, one had a choice between going around a curve and up a hill, going down a steep, icy hill, or maneuvering a bit out of the way on icy but flat streets. The latter route became my favorite – and at times I considered parking my car on the clean street and walking the 3-4 blocks to my house. After extreme-shoveling and driving on ice, snow lost any appeal it may have once had in my youth. Even though Philadelphia does not usually get much snow during winter, we have had our incidents. The most famous of all was the Blizzard of 1996 which took place from January 6-8. Although the blizzard hit most of the East Coast, Philadelphia had the distinction of receiving more snow than anywhere else. The offical snowfall total was 30.7 inches, and of that, 27.6 inches fell in a 24-hour period – a new record. My parents' backyard after the Blizzard of '96. Compare to the Winter 1976-77 photos above - it is the same fence. With that much snow, the city had difficulty plowing even the main roads – there was no hope for neighborhood streets. There was simply nowhere to put all of the snow, so they dumped it into the Schuylkill and Delaware rivers, which later caused flooding problems. The main concern for my family was how to eventually drive off of the street. In fact, my mother and I were scheduled to go to Florida the following week – the only time we’ve ever traveled anywhere together. We were convinced we’d still be snowed in by then. But, fortunately, a miraculous pick-up truck with a plow attached came down our street. We still had to shovel about five feet of the street to get to that lane, but it was better than all of it! Besides the occasional 2-3 feet of snow, even more spectacular was the Ice Storms that occurred frequently during the winter of 1993-94. At this time (as well as the Blizzard of ’96), I had a 22-mile commute to work down I-95, a road that can be deadly even on sunny and dry days thanks to Philadelphia drivers (and this was before everyone had a cell phone stuck to their face). Pretty? Yes! Fun? You’ve got to be kidding. As for winter sports, I skied. Once. The best part about it was coming in from the cold to a warm place and having something hot to drink. It’s just not for me, probably because my body is colder than average and it is just uncomfortable to be below sixty degrees. This is the story of my discontent of winter. Why do I live in Philadelphia? I ask myself that question often. It’s home. It may not be forever, but for now it’s home. The “fun” part of winter got left behind with my childhood, never to return. Well, maybe it will return some day…if I get to spend winter somewhere warm. The photo below was taken in December, and I was finally content during winter! This week I visited the local hospital when my father went to the ER (it’s okay, he’s fine now!). It seems as though I visit there about once a year for one parent or the other, except I’ve been there three times since Christmas and once was for myself! Fortunately, it’s very close to my parents’ house. As I walked towards the entrance to the ER, I noticed the old building that is seemingly out of place with the rest of the hospital. Ever since then I can’t stop thinking about the history that is all around us – history which we are often unaware. The neighborhood in which I grew up, the section of Philadelphia called the Far Northeast, was not developed until the 1950s and 60s, but it has a rich history that goes far beyond the current housing developments and shopping centers. It’s unfortunate that we never learned about this local history in school, like why so many things had “Indian” names or why streets had funny names or who the people were whose names were on the public schools. 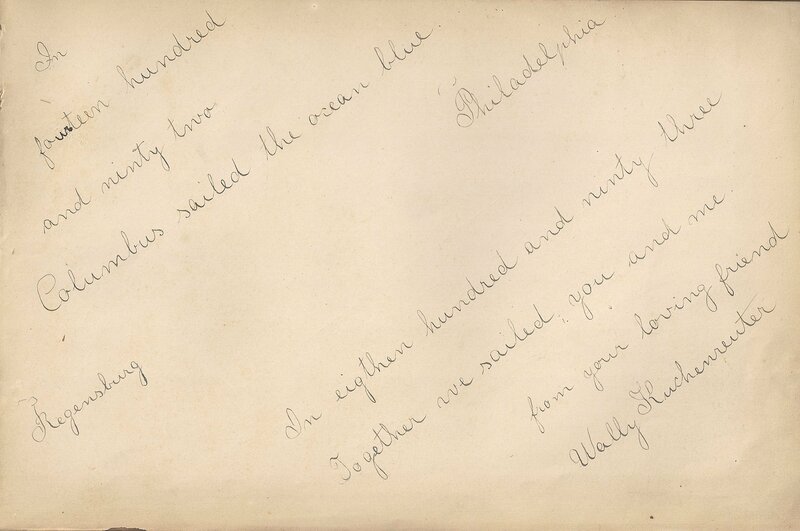 Even though my ancestors are not connected to that corner of Philadelphia, I am, and I’m fascinated by what was there before me. 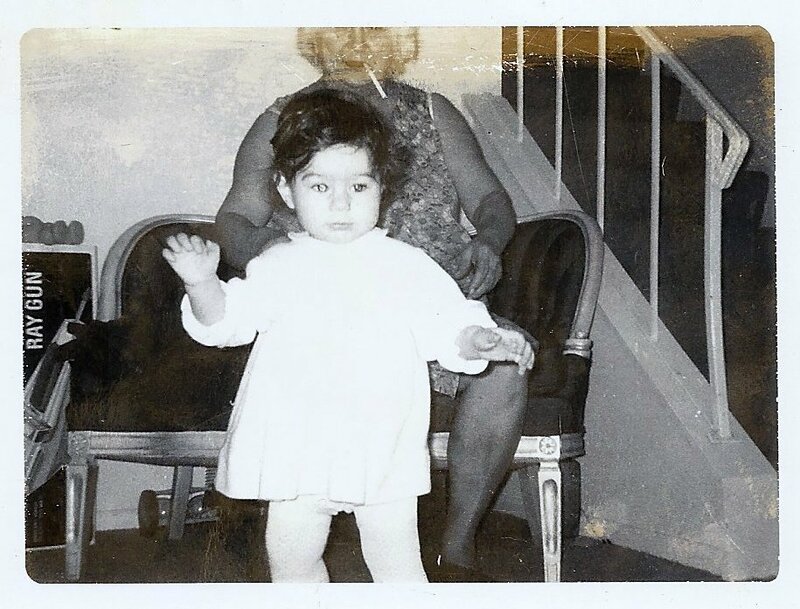 My parents bought their brand new house in 1961; I arrived six years later. Frankford Hospital’s Torresdale Division was built when I was a child. I don’t recall what the corner looked like before then, but I remember sledding on a hill that is now a parking garage needed as the hospital expanded. But two remnants of the entire area’s past remain standing on the hospital’s grounds: the old house and a chapel. Both belonged to the Drexel family. 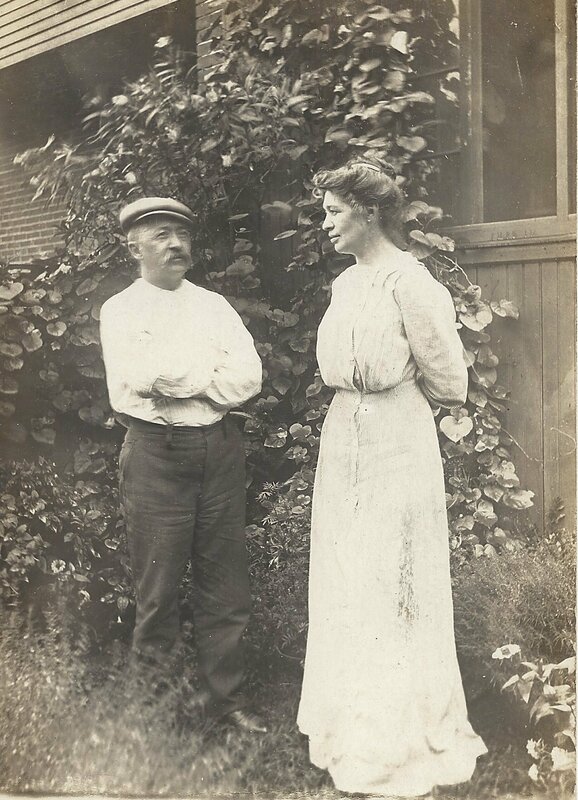 The grounds were purchased in 1870 as a summer home for Francis A. Drexel, his wife, and three young daughters. The Drexel’s were very wealthy; Francis’ father, an immigrant from Austria, made a fortune in the banking industry. The family lived in the city on Locust Street, but packed up for the summer to escape the city heat and spend time in “the country”. This farmland area had only been incorporated into the city of Philadelphia in 1854; prior to that, the land consisted of small villages whose names are known today as neighborhood’s names. In 1870 when the Drexel family first came to their summer home, the area, though officially part of the city, was country-like with a lot of open space, trees, creeks, hills, farms, and very few homes. This whole Torresdale area of the city would remain mostly “open space” until the 1950s. The Drexel family name is remembered today for two main reasons: Francis’ brother Anthony founded Drexel University in Philadelphia, and Francis’ daughter Katherine is a saint. Katherine’s story is admirable no matter what religion you believe in. In today’s language, we’d say she “had it all” because of her family’s wealth. But she gave up all of the worldly things she could have had for a much worthier cause. Katherine’s mother, Hannah, died only weeks after giving birth to her. 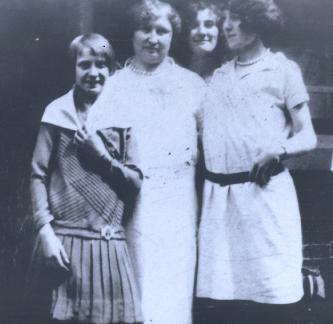 When Francis re-married to Emma Bouvier (a relative of Jackie Kennedy), Emma became step-mother to Katherine and her sister Elizabeth. 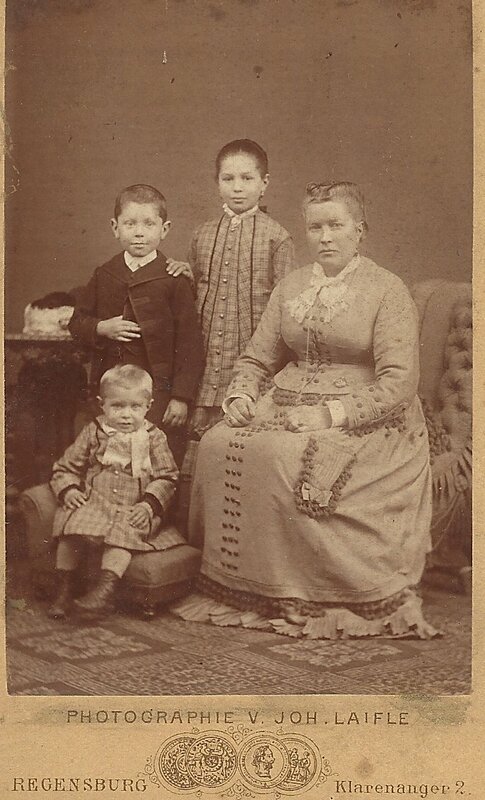 Francis and Emma had a third daughter together, Louise. 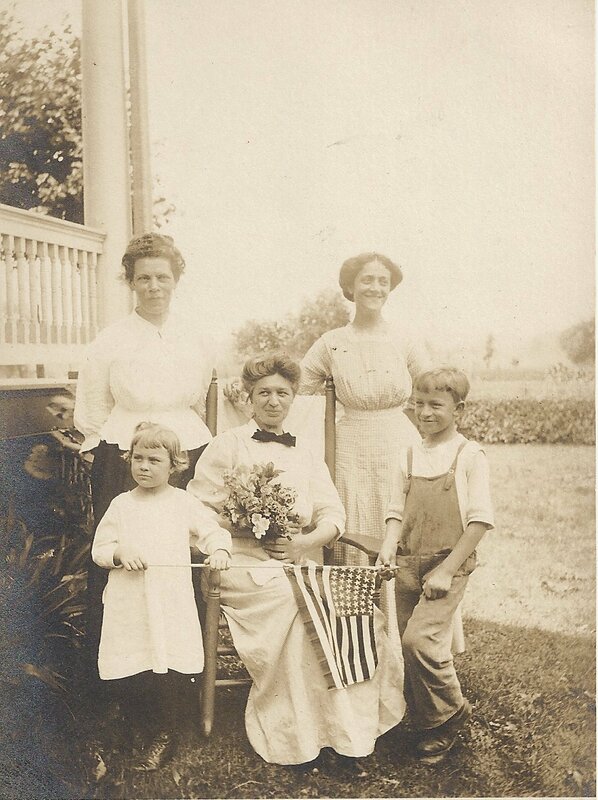 When Katherine was a young woman, the family vacationed out west. She was appalled at the poverty endured by Native Americans. Likewise, she saw much suffering and poverty among African-Americans in the south. Many “rich” women like Katherine would have simply donated large sums of money to help these poor people. But Katherine wanted to do more; she wanted to serve these people. At the age of 33, she decided to become a nun. She would go on to found a religious order of sisters called the Sisters of the Blessed Sacrament, whose mission was to serve and educate the poor, specifically native and African-Americans. Katherine became “Mother Katherine” as she led this order of missionary sisters in their mission, and she used much of her own personal inheritance to fund schools and convents. 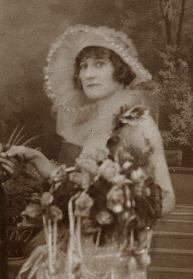 Katherine died in 1955 at the age of 96. She became “St. Katherine Drexel” in 2000 – only the second American-born saint. 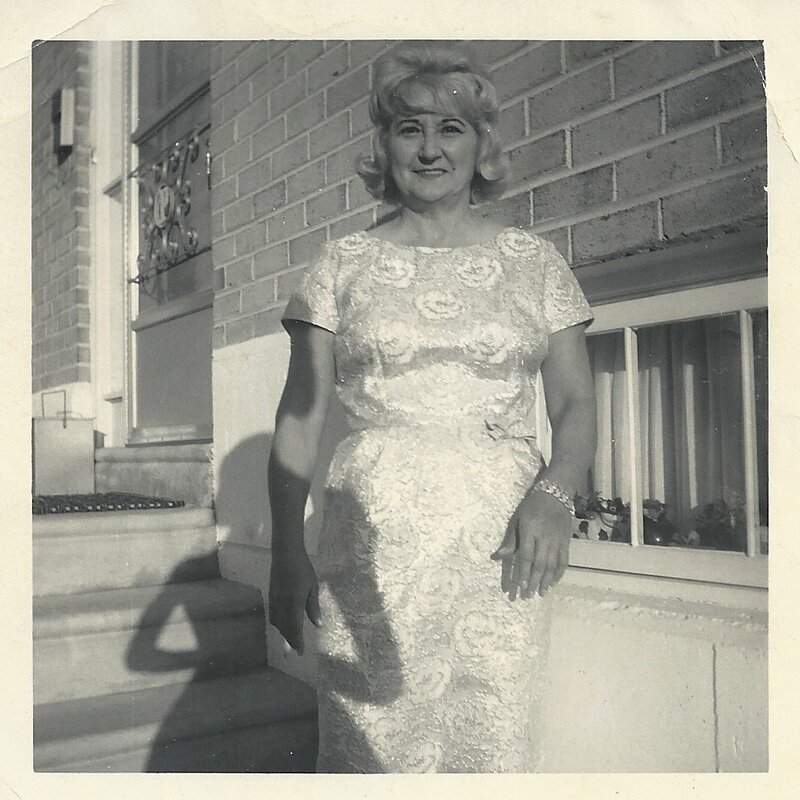 Back to her early life and what she has to do with my old neighborhood… When the Drexel’s first bought their summer estate, which has been reported to equal anywhere from 90-300 acres of Northeast Philadelphia, Katherine was 11 years old. A chapel was built directly behind the mansion, and even today it is an impressive sight on the hill. When Katherine founded her religious order, she housed novices on the grounds until their convent was built in nearby Bensalem. The chapel, and the entire family estate, was called St. Michael’s. Today, their old home is used as an office building. The chapel was desanctified for secular use and is now used as a “wellness center”. I once got a view inside as a teenager, and it was impressive even though it was no longer a chapel at the time. The history of my neighborhood is much older than Katherine Drexel and her family. But, I wanted to take the opportunity to highlight one “era” of the neighborhood. Long before the housing boom, my street was part of the Drexel grounds. It’s somehow nice to know that a saint enjoyed summers riding horses with her sisters on what became my house, block, church, school, and neighborhood. Maybe that’s why I always felt blessed to be there. Elizabeth Fisher, “Hospital continues a caring tradition”, http://www.phillyburbs.com/drexel/0820hospital.shtml – “History, architecture and healing are intertwined at Frankford Hospitals Torresdale Campus, once the summer home of the Drexel family.” This includes photos of the house and chapel I discuss above. Saint Katherine Drexel, http://www.katharinedrexel.org/katharine.html – This site has some wonderful photos of Katherine as a child, her sisters, and her parents. There are also links for more information about her order, shrine, and mission center. 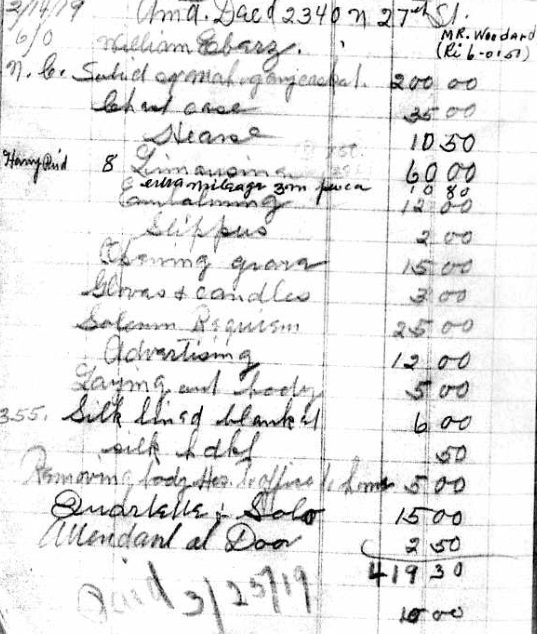 Jenny Vengalil, “Mother Katharine Mary Drexel: A Blessed Presence in the History of Philadelphia”, http://www47.homepage.villanova.edu/charlene.mires/tours/drexel.htm – includes a tour of Drexel sites and a large bibliography.